The start of the construction of the villa was in November 2004. 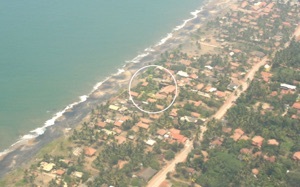 After the tsunami in December 2004 some additional alterations have been made to the building plans, including adding 50 centimetres of height to the foundation of the entire villa. This precaution is probably unnecessary since a natural breakwater, in the form of an old oyster/pearl bank, is located 200 metres of the coast. 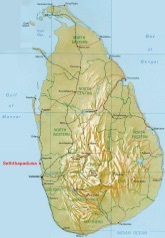 In 15 minutes you can reach Negombo, a town where you can find all shops for you daily needs. Additionally, since Negombo is a tourist destinations, it offers much more hotels, restaurants and opportunities for entertainment. Jetwing Lagoon, a five-star hotel and restaurant, is located less than 10 minutes from the villa and is a great location to go out for a delicious diner. Via the new Katunayke highway you can reach Colombo within half an hour, as well as the airport which is located conveniently close to the villa.